Educational institutions that promote health and wellbeing have the power to not only enhance student success, but to improve the health of our communities and wider society. A Healthy University adopts a holistic understanding of health; takes a whole university approach; and aspires to create a learning environment and organisational culture that enhances the health, wellbeing and sustainability of its community and enables people to achieve their full potential (Healthy Universities, 2018). What is our event exactly? This is a hackathon style event designed to get students thinking about health in the university setting. A hackathon is a timed competition-style event where teams are expected to get creative and work collaboratively and come up with a design or idea. The event will involve coming up with an innovative idea for designing a ‘Healthy University of the future’. The day-long event will consist of brainstorming tasks and facilitated design rounds with lots of opportunities for creativity and collaboration. At the end of the event groups will present their ideas, dragons den style, in front of a panel of public health experts and leaders within the university. Several prizes are up for grabs and everyone will leave with a goody bag. Team designs will be showcased on campus after the event. The event will challenge you to think on your feet, network and develop skills in critical thinking, teamwork and much more. These skills will be critical both within and beyond your university career. You will also have the unique opportunity to present to public health experts and leaders within the university. We are looking for students from all backgrounds and disciplines to join our event. Teams will be formed during the event so no preparation is required prior to the event. Lunch and snacks will be provided. Event Date: Wednesday February 21 10:00-16:30 @ Room G.06, 50 George Square. Information Security. It’s not considered the sexiest of topics, despite the news coverage it seems to be getting lately. Just those two words can conjure up images of men in ties nagging you to update and patch your devices (because you should) or companies crashing and burning as they lose users’ data. As part of a push to make Information Security an easier pill to swallow, we pitched an event for the Festival of Creative Learning where we could use a topic people seem to find more interesting and apply it to Information Security, overcoming apathy with analogy. You and your group will be set two challenges. In the first you will act as cartographers for the kingdom of InfoSec with one of you group playing the part of the Lord and the others as their trusted advisors. You will map out all the websites and organisations with whom the Lord may hold data and where they hold key data, forming the main city and the outlying lands. In the second challenge you will then look at how they can defend these things from two types of enemies: Raiders and the dreaded Order of the Black Hats, a group that will use subterfuge, mercenary armies and even the plague to bring your harmonious Kingdom to its knees. To engage with a key life skill for the Digital Age through collaboration, creativity and world building. You will get the chance to think strategically and see how the lessons of centuries past can be applied today. Most importantly: because it is fun, educational and free. So come along, try something a little different and get an idea of the scale and safety of your digital Kingdom. Tuesday 20 February – 13:00-17:00 @ Room 2.13, 50 George Square. Book now. Thursday 22 February – 13:30-17:30 @ Room 3.2, Lister Learning and Teaching. Book now. Welcome to the Programme – #FCL18 is coming! 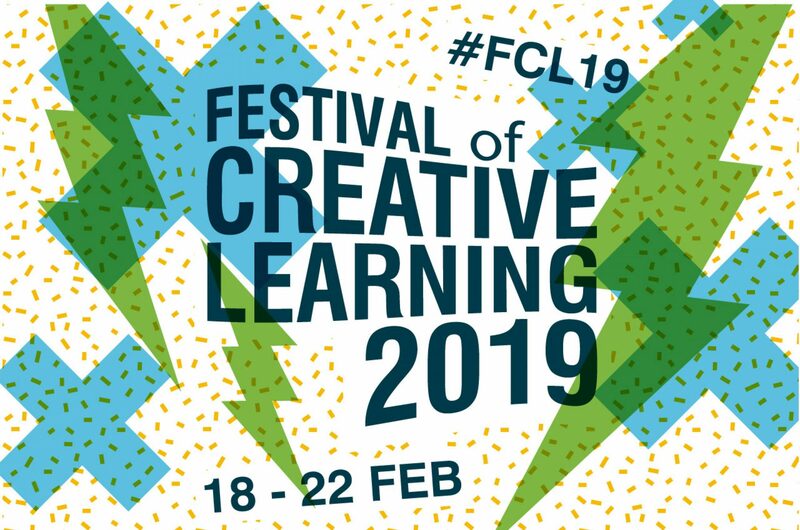 It is with great pleasure that we are now able to reveal the full programme for #FCL18, the curated week of the Festival of Creative Learning at the University of Edinburgh taking place this 19-23rd February. Jennifer and I are incredibly proud of the 100-and-something staff and student event organisers that have been working incredibly hard behind the scenes since September to plan their individual contributions to this fantastically diverse celebration of creativity, learning and innovation. The commitment and enthusiasm they have all shown to everything the Festival aims and values is inspirational, not least because they have all chosen to be involved on top to their already demanding work and/or study schedules. If you are one of these superstars, thank you! The vast majority of events are free and open to people who are interested in ideas beyond their subject area. There are talks, conferences, field trips, workshops, film screenings, walking tours, games, hacks, and much more! At this stage I cannot possibly highlight any events in particular and would wholeheartedly encourage you to put aside some time to browse the full programme available on our website. You will also be able to benefit from the recently enhanced calendar and search functions on our re-vamped webpages. Over the coming weeks we will be introducing some contributors to you in more detail through guest blog posts. Stay tuned to read more about who they are, what they do, what their event is and who should attend. Finally, for now, if you are a student at the University of Edinburgh and looking for a way to be involved in the Festival whilst earning a bit of money, check out the recently advertised Promotion Assistant opportunity on our Facebook page. We will remove the advert as soon as we have received sufficient applications so don’t delay and contact us today.